I was never a sporty child or adult. I mean I was vehemently against sporting activity of any kind. I don’t know why, but I always felt awkward about the standards set by my peers’ sporting prowess – I never excelled at any sports. Neither did I have any desire to. I liked to buss joke – that was my joy and natural talent. I was always a thick-set child too – batty and thighs for days, face round like bammy. Yup, I was a roundaz that loved my dumplings – I demanded them with everything from breakfast to dinner. Who cared about trying to look like a muscleman – chuh! In 1999 I joined a gym and really got into exercising on my own…I enjoyed breaking into a sweat, not having to do all that team stuff that made me cringe and I saw the benefits. I explored and adopted healthier eating habits, became a regular gym goer and I started really enjoying exercise; I was looking and feeling healthier. In August 2008 whilst having a saunter aroundNikeTownfor gym shoes I walked into a display advertising the Nike Run London 10K challenge. I got very excited and made calls to three other friends who were in similar places with the exercise thing and who had varying shapes and sizes of pot-bellies. Sooner or later we’d all sign up to trying a 10k run. We threw ourselves into the unofficial and official training runs, and by October, felt really pleased with ourselves that we’d achieved our goal plus raised money for charity. It felt like I had won an Olympic medal. I got a buzz for goal focused, non-contact, non-competitive sport – I had found my thing! I started to think about doing longer distances. As usual, work and study dogged the idea of stepping up a notch so I left it a while, but then the following year the opportunity came up to do the Nike Run London race again and so I did, smashing my goal time. When I was searching around for races online, I found myself at the London Marathon web site and I don’t know what happened – I just got into a frenzy of clicking and before I knew it, I’d applied to a do a full marathon! After it all sunk in, I realised the feat at hand – I had months to go and I needed to get into it. I was managing a ridiculously busy job as an Learning & Development Consultant, working 12 hour days and living out of hotel rooms – I used hotel gym tread mills as much as I could & hit the streets on the weekends for long runs. And then came race time – the 26th April 2009. The day before the race my long-term illness – dyspepsia – flared up big time. I was heaving and running to the toilet but was determine to calm it down, get rest and plough ahead with the race. On the day, I upped and went down to the start line, fired off and thought: mind on the task at hand SpiritedStrength. I steadily chugged along to the 18 ½ mile point and then it all kicked off – my dyspepsia went into overdrive, the intense stomach spasms started and I was in complete agony. I stopped 5 times where ambulance staff had advised me that I should to pull out of the race. By then I’d had months of fear, anxiety, hope and determination in my mind, not to mention the £3,357.41 that had been pledged to me for the Bishop Simeon Trust. I couldn’t bare the thought of stopping. So I promised I’d walk off the course and once out of their eye-sight, I’d carry on walking. The crowd was clapping & jeering me on, fellow runners where holding my hand for short bursts (there is such an overwhelming degree of support you’d never understand until you were there) and with my abdomen had be bent over to alleviate the contracted spasmodic pain, I walked through until the end. I remember vividly my brother seeing me 20 minutes before the end and bursting into tears when he saw how beaten down I was. 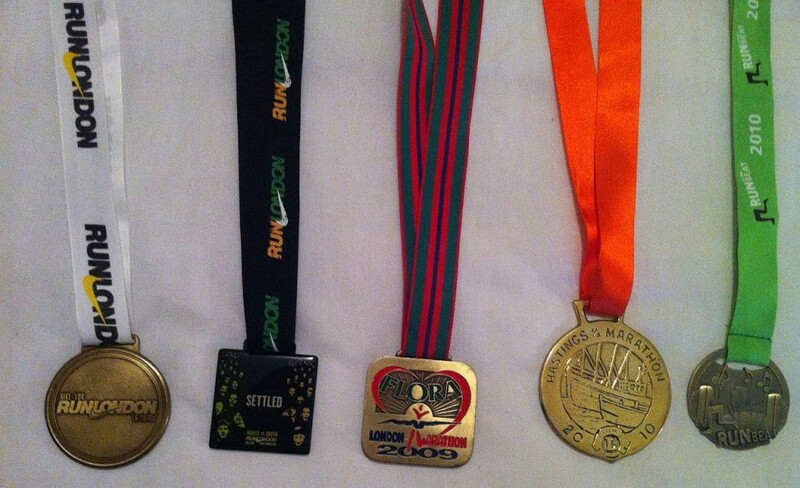 But I was happy – I had the ultimate to add to my haul of running medals – my London Marathon medal. I finished it! Then I collapsed into a wheelchair and was whisked off to the emergency area where I was put on drips of all kinds, hurled very loudly and went through all things dyspepsia-crisis-related (I’ll save you the gory detail – it isn’t cute). I was told off by family and friends for continuing against medical orders. The only point I could make was: if it were a televised meet, you’d be willing the athlete on to just continue to the end, you would understand, so try to understand what it felt like having the deepest desire to complete this, for me and for the charity I was committee to supporting. I said I’d give marathon running a rest until I knew the time was right to try again. Well, this is it. I’ve got my dyspepsia under much better control than before with lots more knowledge gained about hat set my dyspepsia off on pre-race day before; I’ve left he job that had my stress levels charged up to my eyebrows; most of all, it’ll be a an Olympic year – the London Olympics too! So I’ve applied again – I’m running the Virgin London Marathon in April 2012. Unfortunately injury is dogging me again – this time patella femoral pain (otherwise known as runner’s knee). It’s kept me from running for the past 8 months, although my Sports Therapist Amy is pleased with my treatment and as advised that I can try a few very short & light treadmill jogs to try it out again, this month. I’m being the best patient possible so that I get back to full health and smash this mofo. 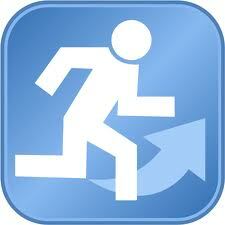 Yes I did it before, but this time I want to run all the way – I will chant so hard for full health and a light trot. PRETTY PLEASE.